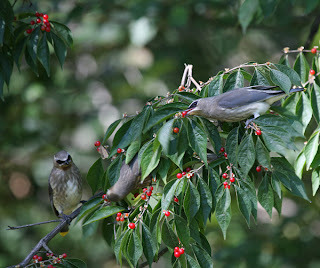 whose berries were ripe for the pickin'. 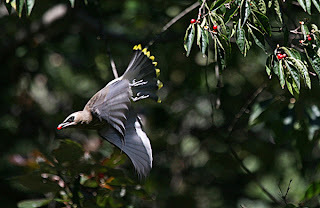 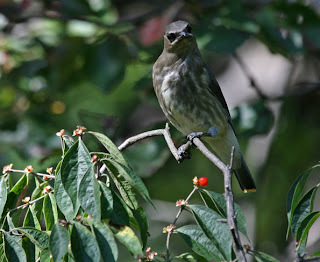 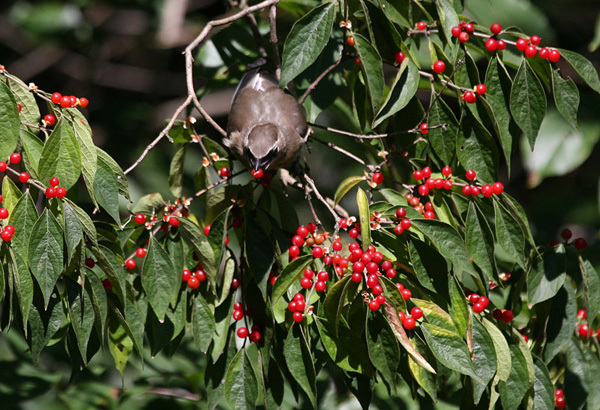 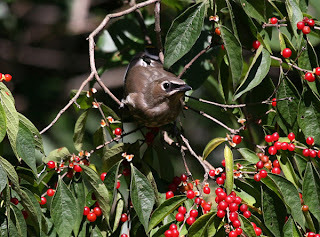 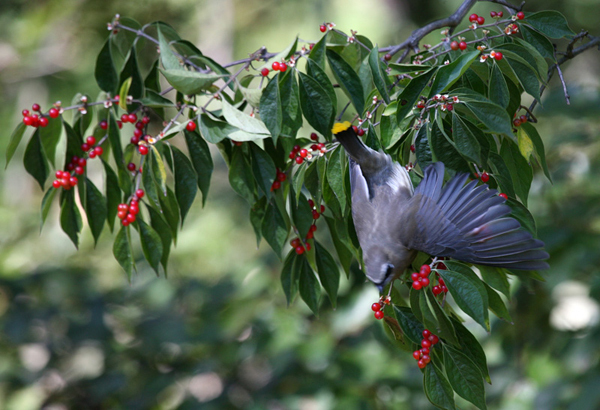 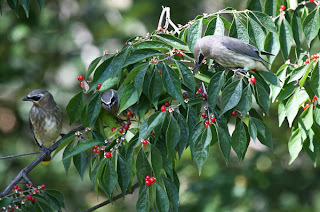 as a flock of juvenile Cedar Waxwings discovered. 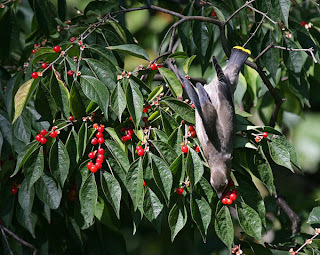 in they flew, out they flew, and now those berries are missin'.